Ever wondered what ‘D.A’ means on your Camping and Caravanning Club Membership Card? DA stands for District Association and each member is assigned a DA based on the area in which they live. There are over 90 DA’s in the UK, within 13 Regions. Staffordshire DA is part of North Central Region. DA’s are governed by the Camping and Caravanning Club but the day to day business is managed by voluntary committees. The committee is responsible for organising meets and events, booking sites, maintaining equipment belonging to the DA, managing finances and ensuring that members adhere to club rules, plus lots of other things. DA meets vary from week to week – sometimes there are ‘special’, themed weekends like Halloween or our Duck Race; sometimes we provide entertainment (usually at our Birthday Meet in May) and other times it’s a relaxing meet with no plans. In any case, visitors can choose to be involved to as much or little extent as they wish. Where do I find out about DA meets and events? You should receive a monthly ‘Camping and Caravanning’ Magazine by post and if you’ve opted in, an additional section called ‘Out & About’ and is dedicated to DA’s and special interest sections. In here, you will find information about meets taking place in the coming month. The listing will state whether or not you need to book and other useful information. There is an Introduction to Out & About on the first few pages which is also very useful if you’re reading for the first time. Abbreviations are common in the listings because the amount of characters is limited – you’ll soon get used to them and there’s a key to help you. Each meet is different, but it will indicate it the meet listing whether you need to book. ‘Bkg Ess’ means Booking Essential – you must contact the meet organiser to book a place. ‘Bkg Adv’ means Booking Advisable – in order to guarantee a space, you should pre-book to avoid being turned away. Usually, if it doesn’t say anything about pre-booking you can simply turn up on the day. If you’re unsure – contact the DA, they’ll be happy to help. What can I expect when I arrive on site? Expect the basics – added luxuries are a bonus! DA’s offer the most inexpensive camping available. Our meets are at basic venues with minimum facilities, there aren’t normally toilet or shower blocks and no electric hook ups. Fresh drinking water is always available, along with toilet disposal point(s). When you arrive on site, you must report to the meet Steward – the person who is ultimately responsible for the meet – they will take your details and guide you to your ‘pitch’. Staffordshire DA does not charge for awnings, pets etc. The only added charge is for extra adults (more than two per unit) at £1.50 per night. What can I expect from the meet? 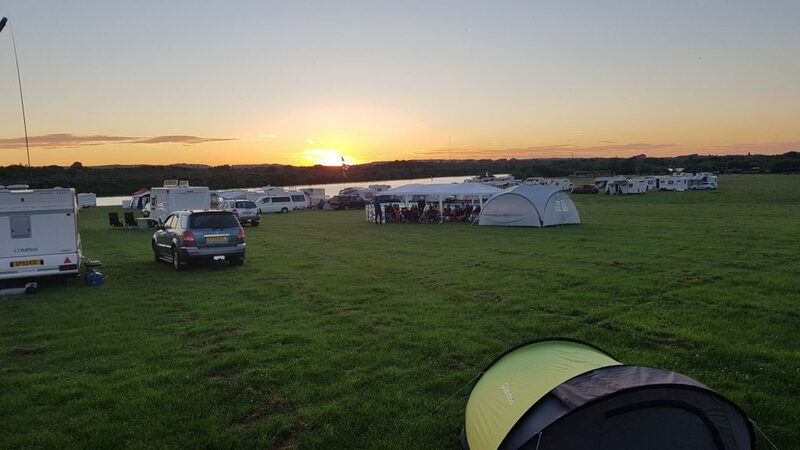 Staffordhire DA’s meets vary from week to week – sometimes its a quiet weekend, other times we put our marquee up and visitors are welcome to join us in the evening – just bring your chairs and drinks along. Sometimes we even have themed weekends! 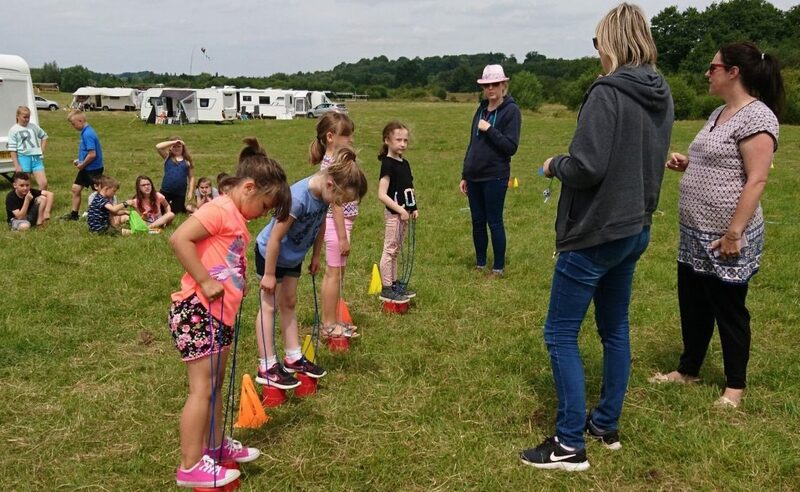 You’re never obliged to take part in an of the activities – if you’d prefer to sit back and relax, that’s fine too! Anything else I need to know about? Any rules?